As an incoming student, one of the most important decisions you’ll make prior to your freshmen year is where to live. 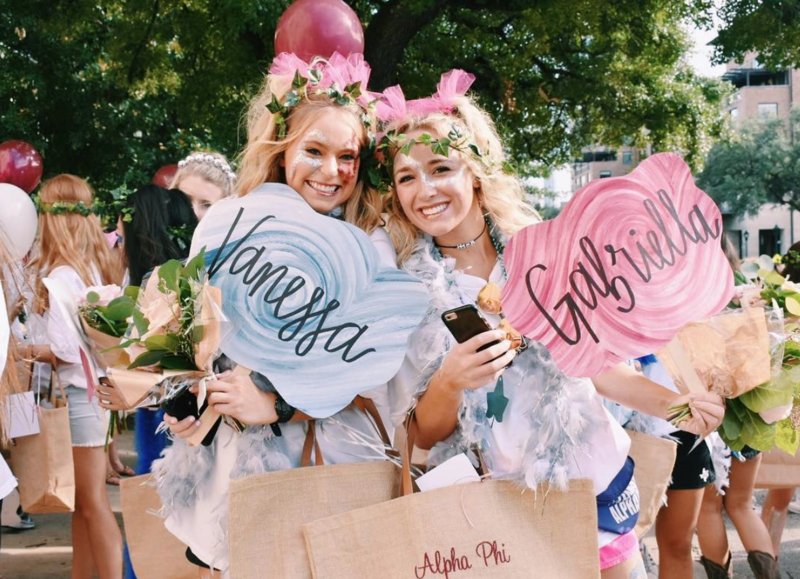 If you plan to participate in sorority recruitment at the University of Texas, you probably want to know where all the other girls planning to rush are signing up to live. The answer is Hardin House or Scottish Rite Dormitory SRD. I’d like to also make a quick note that first-semester freshmen at UT aren’t allowed to live in the sorority houses, which makes sense because you won’t know which sorority you’re in until bid day. I could talk about the best on-campus dorms, but honestly, I’m not going to. If you plan to join a sorority, you’ll have a much better experience in one of the off-campus (but super close) west campus ladies’ dorms. Freshmen in sororities DO live in on-campus dorms. They are just significantly, significantly fewer in number. I know plenty of people who had good experiences living there. If you’ve already signed up for one, don’t worry! You’ll just have to work a bit harder to see your sisters and walk a little farther. 1) At UT, If you want a roommate that’s also in a sorority, this is the best chance of getting one. It’s pretty much guaranteed that whichever location you pick, a good amount of your sorority sisters will be living there too. Living in the same dorm as your new sisters gives you a chance to form a closer bond, walk to meetings together, and coordinate rides to events (the older girls in the sorority will always come pick you up). Plus, living in one of these locations allows you to form close friendships with girls in other sororities as well. It’s a great opportunity to get to know tons of girls within the Greek system, whether or not you end up in the same sorority as them. 2) It’s more convenient during rush. It’s SO much more convenient. I can’t stress that enough. Both locations are close to sororities, and everyone walks to all the recruitment events together. It’s a lot less stressful when you have a friend or roommate that’s going through the same thing. You can come home, compare notes and experiences, and relax knowing that your roommate is happy to go to bed at a reasonable hour because she too has to wake up at 7am to get ready for the recruitment parties. 3) It may help you get into a sorority. Sometimes, if a sorority really wants a girl, they’ll rush her roommate or friend as well if they think it might be a “package deal”. The roommate may sometimes be given higher consideration. As a whole, there are no guarantees though. It’s just something to keep in mind. However, please keep in mind that no sorority will ever turn down an awesome girl just because she doesn’t live in Hardin or SRD. Don’t believe anyone who tells you that. The value of living there comes during recruitment and in the year to come. 4) They’re “sorority-friendly.” A large majority of their clientele is involved in sorority life, and they’re mindful of it. The entire staff is incredibly sweet and supportive, and they try and make things as easy as possible for its residents. For example, during recruitment week, they provide snacks, cookies, etc. They allow your big inside to decorate your door with notes of encouragement, cute photos, and posters. The dorms on campus don’t allow that. Plus, the fraternities always send members to Hardin and SRD to provide residents with transportation to events. It’s nice to have a ride to a tailgate in the 105-degree weather! 5) Hardin House & SRD are for ladies only. If you live on campus, chances are you could end up in a co-ed dorm. Depending on how you feel about that, this might be a pro or a con. Going through, I was more interested in living in a women-only dorm. It’s a good thing to keep in mind. 6) They feed you. Both of these dorms come equipped with meal plans. SRD has fraternity boys that work as waiters, and you can sit down for a meal at either without having to leave to go to a dorm cafeteria or nearby restaurant. They’ll also save you a plate if your class or study session goes late. Just be sure to request a “late-plate” in time! 7) Close proximity to UT campus everything. They’re close to campus. They’re close to sororities. They’re close to fraternities. There’s PARKING. Parking is extra, but if you plan to bring your car, it’s absolutely worth it. Every UT game day, the University of Texas makes students who park in the garages near the dorms move their cars for the weekend so they can sell parking spots for the games. Anyone parked there has to scramble to find another parking spot. You can safely leave your car at Hardin or SRD whenever. All in all, it’s just really nice to be close to your classes and to your sorority. 8) Safety. College might be the first time you’ve ever lived away from home, and it’s important to feel safe and relaxed when you get back to wherever you’re calling home. Both of these dorms are in located in incredibly safe areas and have brightly lit exteriors and security guards patrolling all night. You have to scan your card to get in and check in all visitors at the front desk. Most of the staff for Hardin House has worked there for 10+ years, and they’re the most trustworthy, sweet individuals you’ll ever meet. 10) Amenities – Both options boast private pools, workout areas, study rooms, and yearly social events. SRD even has yoga and fitness classes. It’s really nice to have everything you need in one place. Both dorms have maids that vacuum your room, take out the trash, and clean the bathrooms. Sometimes, they’ll even make your bed. Make friends with them – it’ll lead to some perks. Hardin House recently renovated their kitchen and dining area and it looks fantastic. I also had the opportunity to enjoy a meal there this past year when they invited me to join them for dinner and speak to their incoming freshmen ladies at each orientation. It was delicious! And they always have fresh, healthy options on hand. Now it’s time for the specifics. Almost everyone who lives in this off-campus dorm plans to rush. It’s residents are almost exclusively freshmen, and you need to sign up way in advance, depending on which section, or “house” you want to be in. The available houses include: Red, Main, Green, Grant House, The Apartments, and the newer, sister properties, Carnes and Grayson. There are pools near each section, and most rooms are equipped with big, walk-in closets. Red House fills up first, typically with lots of Pi Phi, Kappa, and Theta legacies. This is because it’s the oldest building and because it’s typically where the girls’ moms lived. The fraternities host a special event, exclusively for the Red House, called “Red House Ranch.” Carnes and Grayson are separate, nearby clusters of apartments that Hardin House puts girls in. It’s basically like having your own apartment, but you have access to every other part of Hardin. These rooms are much bigger, and since they’re separate entities, the guest policy is much more…lax. Rooms are filled on a first-come, first-serve basis, and you may want to sign up prior to applying for UT. Some mothers sign their daughters up when they are born. I’m not joking. 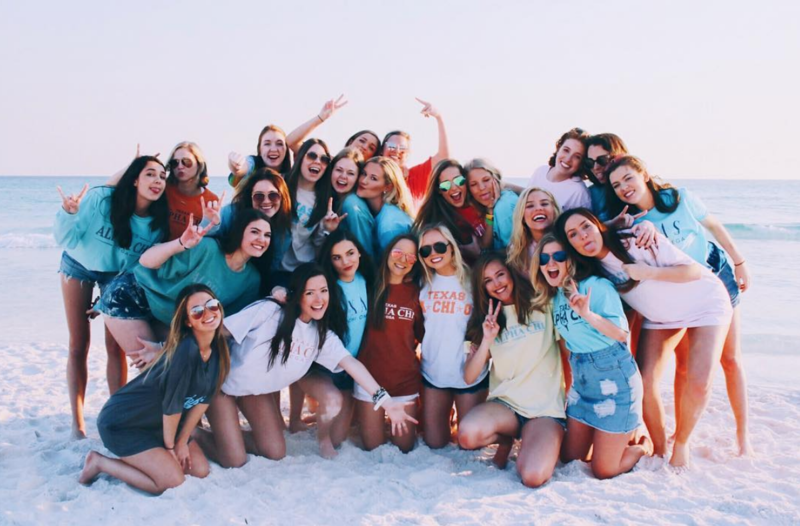 This is extreme, and obviously, only a fraction of these girls will even get into UT and decide to participate in sorority rush, but you get the idea. Signing up your junior year of high school should be more than fine if you want to have a decent pick of rooms and guarantee yourself a spot. Once it fills up, it fills up. There’s a wait-list, but historically, ladies who join the waitlist have a pretty good chance of making it in. Check out their site. A majority of the girls living in this all-ladies dorm plan to participate in recruitment. SRD is a good option for girls who are unsure if they plan to rush, as there is a good balance of Greek and non-Greek women. Additionally, there’s always a good amount of sophomores living there. 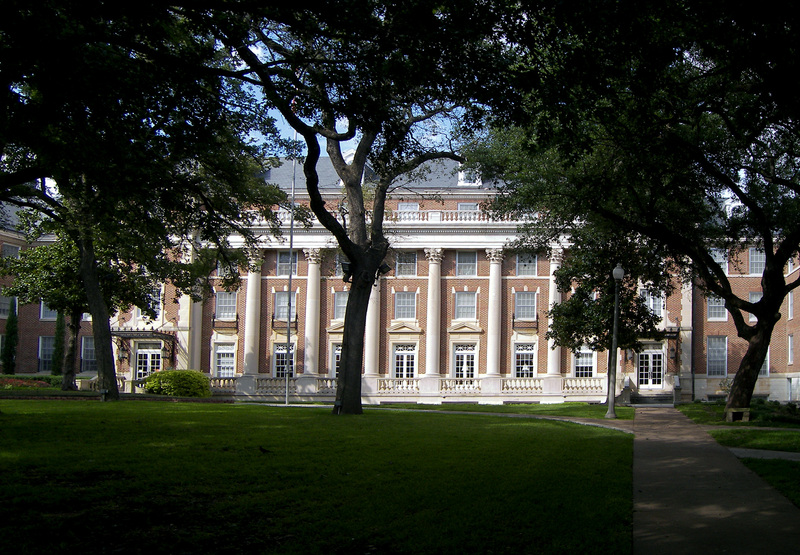 Unlike Hardin House, SRD is not comprised of houses. It’s a single, giant, colonial-style building that houses all residents under one roof. While Hardin has both private and shared bathrooms, SRD’s bathrooms are shared by everyone in that wing. It also has one large pool for its residents. The openness of SRD gives it a unique vibe in comparison with Hardin’s individual houses. Plus, girls say great things about the food. Rooms go fast, and the suggestions above should be observed for SRD as well. However, since it’s a larger dorm, it occasionally has availabilities after Hardin has filled, and girls on the wait-list have a better chance of getting a spot. Click here to visit the SRD site. Check out the links I gave you above, schedule a tour at each one, and pick your favorite! Wherever you choose, I hope reading this was super helpful. Either of these houses will be a great choice, and they’ll really help make transitioning to college a bit easier. If you have any specific questions, feel free to ask in the comment section or send me a private message through the form on the “Contact” page. Picking the right housing is just ONE of the many ways to set yourself up for a great experience both during and after sorority recruitment. Of course, if you plan on joining a sorority, the sooner you get started preparing, the better. In fact, it can take months to get all of your letters of recommendation together. Your junior and senior years are the perfect time to start prepping for rush. Give us a call, and we’ll have you WAY ahead of the game by the time you get here. What’s a sorority rush coach, and why should you partner with one for sorority recruitment at the University of Texas? Consider working the first and only sorority rush coaching program in Texas (the only program that specializes in UT rush, and the first of its kind in the nation). A lot of the big decisions with rushees involve paperwork and are made months before recruitment. We know exactly what the Director of Recruitment Records is looking for on your resume, how the houses will rank your rec letters on a scale (and how you can get a higher ranking), how best to prepare your rush packets, how the bid list ordering and cut process works, and what you should actually be discussing during each round. Working with a rush coach maximizes a rushees odds before and during recruitment. It gives your daughter an advantage long before she steps foot on campus for recruitment so she can go in more relaxed and confident (and so you can stop worrying!). To apply for the Hiking in Heels program, which was nationally recognized in Cosmopolitan Magazine, call us at (512) 827-7586 or click here to ask any questions you may have.